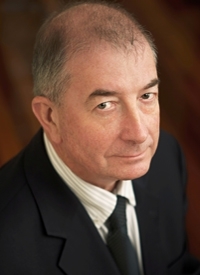 Mr. Wills joined the board in December 2018. He was born and raised in New Zealand and graduated from the University of Otago, New Zealand with majors in Accounting and Finance. He then embarked on travel overseas and worked in London in various finance roles before taking up a management consulting role with Coopers & Lybrand in Russia in 1995. Mr Wills joined leading Russian investment banking group Brunswick in 1998 and held various senior management roles in the Brunswick and UBS groups before taking over the running of the group as CEO of Brunswick Capital in 2003. Since 2007 Mr Wills has managed his own family office focused on investment opportunities in private equity, venture capital and public markets with a focus in emerging markets and Eastern Europe. He has held several non-executive directorships including a leading electricity and heat utility group and a major agriculture and food producer. Mr Wills has lived in London since 2012. Christakis Taoushanis joined the Board in July 2018. He is a graduate of the London School of Economics and the London Business School. He has 30 years of banking experience, having worked for four years with Continental Illinois National Bank of Chicago in Chicago and Greece, 18 years with the HSBC Group in Hong Kong and Cyprus (the last 12 as the Managing Director in Cyprus) and 8 years as the Chief Executive Officer of the Cyprus Development Bank. Since 2011, he provides services as an Advisor to a number of companies through the private firm, TTEG & Associates. He is a member of the boards of various regulated companies, mostly of international interests. He served as President of the Association of Cyprus Commercial Banks and numerous other firms and associations. He is active in local Cypriot community and charitable organisations. Mr Grant is a non-executive director of Augean Plc, a UK-based hazardous waste management business, and Chairman of the British Racing Drivers’ Club Limited. 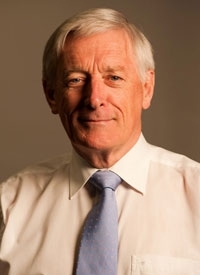 His previous non-executive director roles included Chairman of Gas Turbine Efficiency plc, Hasgo Group Limited, the Royal Automobile Club Motor Sports Association Limited and Torotrak plc. He was also Senior Independent Director of Melrose plc, Pace plc and Wolfson Microelectronics plc and a non-executive director of National Grid plc, Corac Group plc and the Royal Automobile Club Limited. In his executive career, he was Finance Director of Lucas Industries plc and LucasVarity plc from 1992 to 1996, and before that Director of Corporate Strategy for Ford Motor Company and Executive Deputy Chairman of Jaguar Cars. Mr Grant holds a BSc in Economics from Queen’s University Belfast, an MBA from Cranfield School of Management and an Honorary Doctorate of Engineering from University of Bradford. Dr Rich joined the board in 2006. He is the Managing Director of Australian Agricultural Nutrition and Consulting Pty Ltd (AANC) and is a specialist agri-business consultant for the IFC and IFC invested clients. From 1990 to 2003, he was an executive director of Austasia Pty Ltd, an agri-business conglomerate which has operations in Australia, South East Asia and China, and from 1995 to 2002 was a director of AN-OSI Pty Ltd, a company that specialized in supply-chain management for feedlot beef, poultry and dairy operations in Asia and Europe. Dr Rich holds a BSc and a BVSc from the University of Sydney, is a member of the Australian College of Veterinary Scientists and a registered financial member of the Australian College of Veterinary Surgeons. He has completed a number of post-graduate courses in agricultural and food-related industries. On the 19th of July, 2016 he has been named interim Chairman of the Board of Directors of MHP S.A. and Chairman of Nomination and Remuneration Committee. On 14 March 2017, the Board confirmed Dr John Rich as Chairman of the Board of Directors of MHP S.A. on a permanent basis. Mr Kosyuk founded MHP in 1998 and is also the CEO of PJSC MHP. In 1995 he founded the Business Centre for the Food Industry (BCFI) and was President until 1999. BCFI operated in the domestic and export markets for grain and other agricultural products. Mr Kosyuk graduated as a processing engineer in meat and milk production from the Kiev Food Industry Institute in 1992. 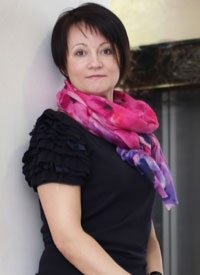 Ms Kapelyushna, who is also Financial Director of JSC MHP, joined MHP in 1998 and was elected to the board in 2006. She was previously Deputy Chief Accountant, then Chief Accountant, of BCFI. She holds diplomas in meat processing engineering, 1992, and financial auditing, 1998, from the Kiev Institute of Food Industry. 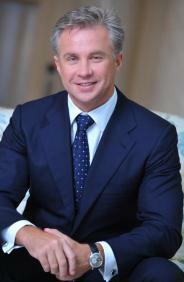 In July 2010 Yuriy Melnyk was appointed First Deputy CEO of Myronivsky Hliboproduct (“MHP”). 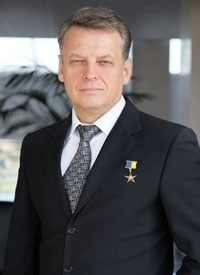 Prior to joining MHP Yuriy held the position of Agricultural Minster for Ukraine and Deputy Prime Minister of Ukraine, as well as serving as an advisor to the Prime Minister of Ukraine. Yuriy is a Doctor of Agriculture and has been a correspondent member of National Academy of Sciences of Ukraine from 2002. In 2004 he was awarded the State Prize of Ukraine in science and technology. He graduated from the Ukrainian agriculture academy as a Zooengineer in 1985.